Home services industry companies need to pay more attention to reviews than most. Great reviews help contractors meet the unique challenges they face when they try to earn customers. Home services are typically expensive. Certain projects can come with unexpected and stressful surprises. And, unfortunately, a slew of irresponsible, unprofessional, and downright criminal contractors have poisoned the well, making it harder for honest contractors to put customers at ease. With multiple cities to target, dominating local search rankings in every city where a typical contractor sees customers can start to feel like an impossible task. Even ranking for a few hand-picked, major towns in a service area can create constant struggles. And since customers often call contractors when they're in the middle of an emergency, showing up in Google's local search 3-pack can mean the difference between a booming business and one whose phones are dead. This gutter contractor does business in 20 cities, but only makes the 3-pack in three of them. Challenge #3: It's a lot harder to do content and social media marketing for contractors. It's not impossible, and many contractors do maintain some pretty great blogs, along with active social media pages. 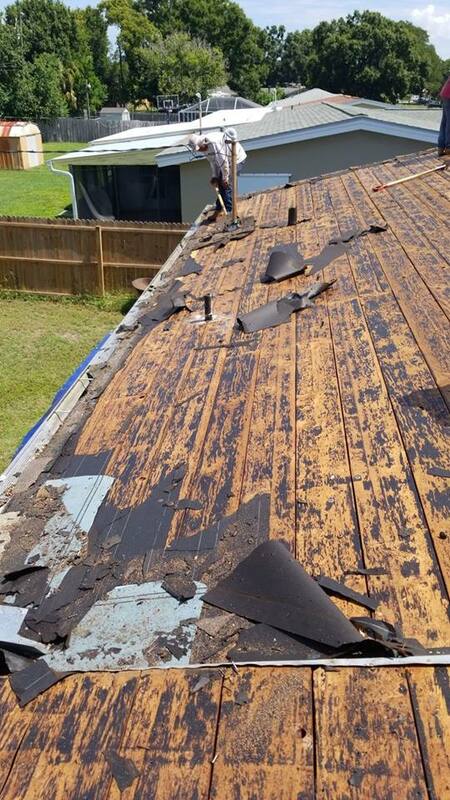 There's just nothing fun about roofing, so it's hard to win by posting your cool on-the-job photos to Facebook (image courtesy of Done Rite Roofing of Tampa, FL). Meanwhile a local restaurant can show off their food and post pictures of events. As for blogging, Most people don't race to read every last article their roofing blog puts out, while other businesses can build a following capable of sending people back to their website every week. For contractors, these things mostly serve to show the business is active, to catch some long-tail search traffic, and to keep the site fresh. Reviews are uniquely suited to helping contractors meet all three of these challenges by overcoming customer hesitation, increasing a contractor's chance of winding up in the 3-pack, and providing a content "hook" for earning customers. It's essential to focus on Google reviews, but beyond Google, there are a variety of home services specific review sites that will have potential clients specifically looking for your contractor offering, and if you don't have a listing or positive reviews, they're not going to find you, let alone choose you. And while you're not allowed to solicit reviews on Yelp, it's important to have a Yelp listing and have decals on your vehicle and offices to 'Find us on Yelp!" Home services professionals have two really great opportunities to ask for reviews. The job is finished. The customer feels a sense of relief. On-the-job staff can be trained to ask the customer if they met or exceeded the customer's expectations that day. If they didn't, they can hear the customer out then and there, and perhaps get a chance to correct the problem before they even leave the site. If they did, they can hand the customer a business card with a QR code and ask them to please leave a review. Warmly expressing how helpful it would be and how easy it is to do that right from the customer's mobile phone can produce great results. An email drip campaign is great for contractors. Sending a follow-up email to check on customer satisfaction makes the company look professional. Frankly, many home services companies don't do this, so it makes them stand out and helps to build repeat business, too. We recommend sending one right after service. If there's no response send a reminder in 3 days, and a final reminder in 7. Making sure it's easy for the customer to leave a review by funneling them to their favorite sites and providing education on how to leave them is also vital. Few customers will leave reviews if the review process itself is frustrating or difficult. Notice how this review hits almost all these pain points. It talks about bad experiences with other services, before transitioning into how The Ice Dam Guys are different. The writer highlights how the service person picked up immediately, eased his concerns, did exactly what he said he was going to do, and did a great job without damaging his property. It's a meaty review that tells potential customers exactly what to expect—which is far more useful than a review which simply says, "They did a great job," or "very professional." This one isn't as long, but it does as much good. It notes the personal interaction the reviewer had with the contractor, the way the contractor met his schedule, the way the contractor worked, and the quality of the work. Thanks for choosing ABC Handy Guys! We hope your service met or exceeded your expectations, and we'd love your feedback so we can serve both you and other customers better. Were we friendly and professional? Did we deliver as promised? Are you satisfied we delivered your work on-schedule and within the quoted budget? Please take a moment to let us know! This gets customers thinking about these helpful "core points" when they're composing their own review. Don't just read reviews. Use them! One final note. No contractor can get 5-star reviews if they don't do 5-star work. It's important to try to save the customer when negative reviews show up, but it's also important to pay attention to what they're saying. 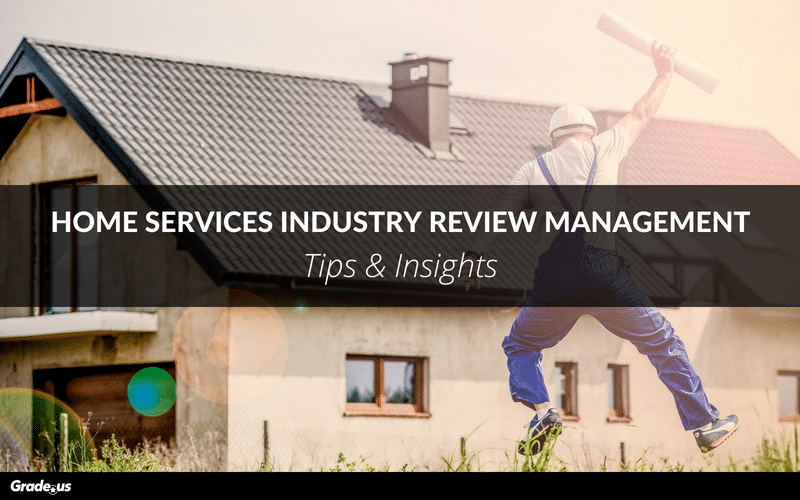 Those who treat the feedback as feedback can become the shining examples of the home services industry, and will eventually have very little trouble collecting hundreds of outstanding reviews. Meanwhile, there isn't a trick in the book capable of making up for the typical behavior of bad contractors.